As an out and back, distance is up to the rider. 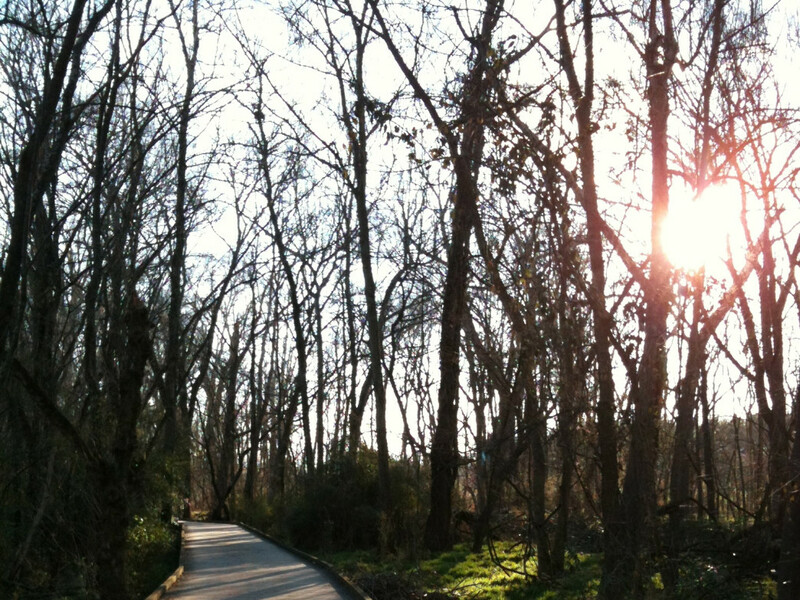 McMullen Creek Greenway is a 5.8 mile, well-shaded escape from the nearby population center that’s grown up along the south end of 485. Mirroring creeks and crossing wetlands, the long piece of trail is the perfect alternative to miles on hot, congested roads. Plenty wide enough for lots of traffic, bikers, runners, and families take advantage of this amenity. Park crushed gravel and part pavement, with occasional wood boardwalks traversing wetlands, the nearly 6 miles of greenway is all suitable for road running shoes. Even on busy days the wide trail makes room for all visitors. 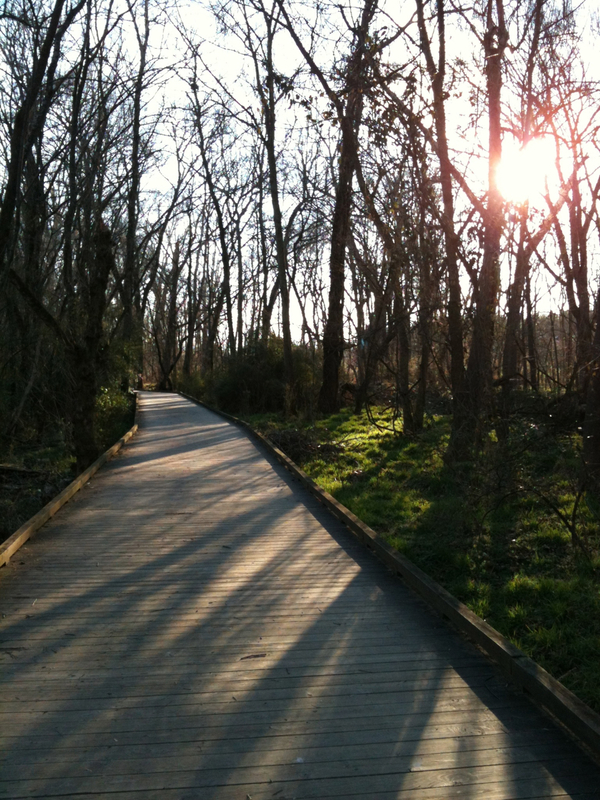 Bikers, joggers, and families all frequent the trail to stay cool under a canopy of trees and be serenaded by the birds and frogs that make the creeks their home. In typical Charlotte fashion, where a single road can have three names and two roads with the same name intersect, this greenway can get confusing. Beginning at the entrance on Pineville-Mathews Road, is called McMullen Creek. As it turns to make a “U” it becomes Lower McAlpine Greenway (not to be confused with Upper McAlpine / Campbell Creek Greenway). The final stretch is called Four Mile Creek Greenway. Used to such conflagrations, Charlotteans typically refer to it simply as McMullen. No matter what it’s called, the greenway is a good option for an easy stroll or getting miles in on a long weekend run. McMullen draws lots of recreational and beginner riders to its smooth, flat surface. The twelve miles of greenway presents plenty of distance for a nice Sunday morning peddle. It's rare to not see a family out at McMullen, teaching their youngest members to ride or rolling along with a bike stroller in tow. There are several places to park and access McMullen but the easiest to access from 485 is at 3185 Pineville-Mathews Rd. This entrance offers bathrooms and a small exercise area with pull-up bars and the like. Arriving early on nice weekend days will help avoid the inevitably full parking lot. Dogs are welcome but should be kept on a leash and picked up after.